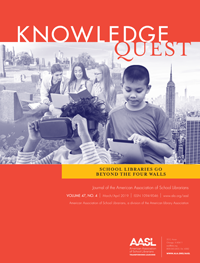 Last year, I realized my blog writing for Knowledge Quest focused on three main topics: learning, literacies, and collaboration. This year, I intend to explore each of these concepts more in depth in order to help my school library fulfill its promise. I have begun to investigate different types of learning and what they afford. Preliminary study suggests that both experiential learning and connected learning emphasize field study, honor student interests, and can help leverage institutional support for passionate pursuits that might otherwise go unappreciated. A key tenet of my library is the social basis of education. That is, I believe that we make sense of the world together, through participation (i.e., negotiation, argument, etc.) in a social context. This belief informs the way the library is organized—including how the space is arranged as well as expectations for best use. A focus on situated learning in the school library helps emphasize the social dimensions of learning. 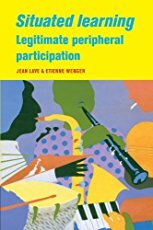 To explain situated learning as “legitimate peripheral participation,” Lave and Wenger emphasize that “learners inevitably participate in communities of practitioners and that the mastery of knowledge and skill requires newcomers to move toward full participation in the sociocultural practices of a community” (29). Sociocultural practices of a school community are hard to pin down. 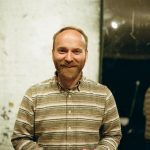 A school is an ever-evolving body that features relations between myriad participants: newcomers become old pros and peer groups shift significantly—all while students and faculty interact in a kaleidoscope of contexts. More importantly, these communities of practice exceed the boundaries of targeted instruction. In fact, one of Lave and Wenger’s aims was to argue that although learning can happen via teaching, intentional instruction itself is not the source or cause of learning (40-41). So how might a library encourage situated learning? While Lave and Wenger note that “legitimate peripheral participation is not itself an educational form, much less a pedagogical strategy or teaching technique,” they argue that “peripherality, when it is enabled, suggests an opening, a way of gaining access to sources for understanding through growing involvement” (37, 40). Admittedly, I had to read that last bit a few times. I think it means that through increased participation in sociocultural practices, newcomers on the periphery increasingly gain access to resources and opportunities. Although libraries are not gatekeepers to knowledge and resources, they can be the space that helps to broker and encourage access. 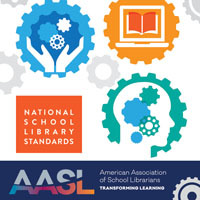 By working to become a central site of sociocultural activity in a school, the library can help host and nurture social connection. 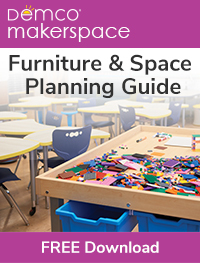 By giving students opportunities to take responsibility for the space, we can help learning in and out of the classroom. Lave, Jean and Etienne Wenger. Situated learning: Legitimate peripheral participation. Cambridge University Press, 1991.